Hey there everyone! As you all know, traffic generation starts with a website and ends with a website, yet not all websites are able to attract traffic if they’re not designed with traffic in mind. 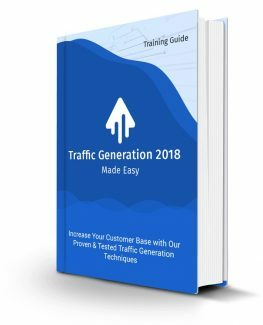 Because of that, we consider that it is important for you to learn what the elements are that make a traffic-generating website possible, and in this lesson we are going to teach how to create one from scratch. You don’t have to worry if you already have a business website of your own; You can easily optimize your website to grow your traffic by implementing the traffic-generating tips that we’ll teach you here! Your site’s stability is a big part of building traffic because, for one, search engines evaluate websites for performance, including load times and uptime. Having a stable website will also help you to provide visitors with a good user experience. That is why it is important to start by selecting a good hosting provider. For this example we are going to use “Hostgator.com”, a reliable web hosting provider and domain name vendor. So let’s start by showing you how to buy a hosting plan and domain name at “Hostgator.com”. Click on the “web hosting” tab. There are three plans available: the “hatchling plan”, the “baby plan” and the “business plan”. We recommend you to select the “business plan” because it allows you to install and host unlimited domains the easy way with “WordPress”. Now click on “buy now” to select your plan and to continue with your purchase. Now you have to choose a domain. Remember that your domain name is part of your traffic generation strategy. We recommend you to use the name of your brand or business, or to target a long tail keyword with your domain name. We also recommend you to avoid using hyphens, numbers or symbols in your domain name. Enter the name of your domain and use the top-level domain selection menu to make sure that your domain name of choice is available with the “dot com” or “dot net” top-level domains. Selecting any other top-level domain such as “dot biz” can affect your site’s ability to generate traffic. Now scroll down to register your user info, your billing info, your additional services and to complete your purchase. “cPanel” profile, you will be able to set up your website. Start by logging into your cPanel dashboard. Now click on “Build a new WordPress site”. Now click on the “select domain for installation” menu, select the domain where you are going to set up your website, enter the name of your new website or blog in the “directory” field and then click on “next”. Now you have to register your “Install settings”. Enter your “blog title”, your admin username in the “admin user” field, your “first name”, your “last name”, and your “admin email”. Now check the “terms of service agreement” box and then click on “install”. Wait until you get an “installation complete” and save your “username” and your “password” in a safe location. Now click on “login”. Now enter your username, your password and click on “login” to go to your new site’s dashboard. Once in your dashboard you will be able to start optimizing your site to generate organic traffic, and we recommend you to apply the following optimizations right before you start adding content to your website. Please note however that we are going to show you how to apply these optimizations on a WordPress site, so if you’re using a different content management system you might need to take notes of the steps that we’ll take next so you can later browse how these configurations work on your “CMS”. Go to the “settings” tab located on the left-hand menu, and then click on the “reading” option. 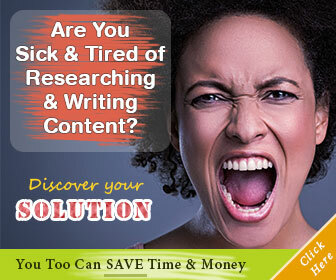 Now move over the “Search Engine Visibility” option and make sure that it is unchecked. If it is checked, it will limit your site’s visibility on search engine results, so just uncheck it if that’s the case and click on “save changes”. Now click on the “Permalinks” option under the “settings” menu. Then select the “Post name” option under “Common Settings” and click on “save changes”. Activating this option will allow you to use the keywords in your post titles on your post URLs, which will increase their ranking on search engine results.